It's almost the end of the 2016. Thank you for reading our blog and following our social media posts. Here are the top 10 posts from our blog. Our readers enjoyed this blog post comparing olive oil with ultra-trendy coconut oil. Despite the hype, olive oil is still the clear winner over coconut oil. We created this visual guide to buying, storing and purchasing olive oil. This blog post explains the difference between the harvest date of an olive oil and the best by date and why harvest date may not be the best indicator of olive oil quality. 2016 saw a lot of overblown news stories about "fake" olive oil. Our readers were glad to learn of our olive oil testing program. 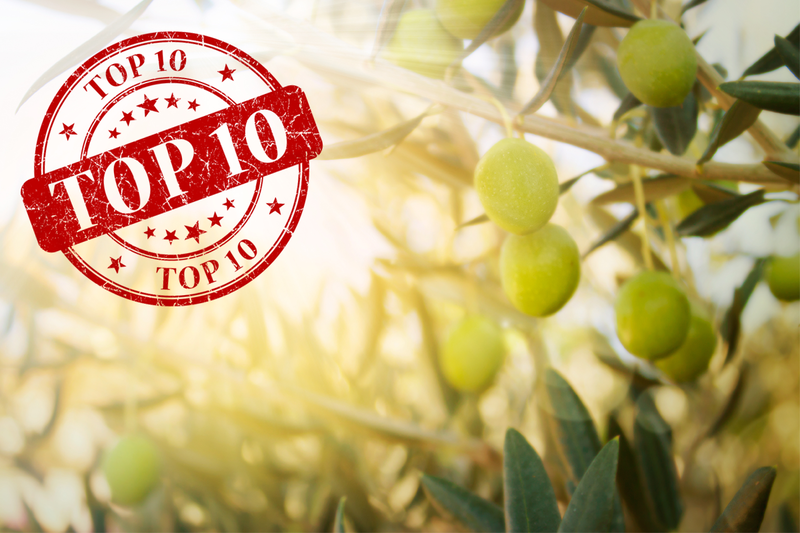 Consumers have long demanded a list of olive oils that are tested for authenticity and purity. Our olive oil seal is awarded to olive oils which meet olive oil standards and are tested regularly. 5. Does olive oil have to taste peppery? We are often asked if it is normal for olive oil to burn or taste peppery. The answer is yes, but olive oil does not have to taste peppery to be a good olive oil. 4. Are you an olive oil expert? We created this quiz to help our readers test out their olive oil knowledge. How did you score? There is a persistent, unfounded rumor that olive oil should only be used raw. In fact, olive oil one of the most stable cooking oils with one of the highest smoke points. Its great for cooking and even frying. There is a lot of bad information out there on how to buy olive oil. There isn't much to worry about. Most olive oil on the market is authentic and meets the quality stated on the bottle. For those of you looking for more info, here are some tips. In 2016, we saw many misleading stories which led consumers to believe that the majority of olive oil sold in the USA is adulterated or of poor quality. The truth is that there is no basis for the damage to olive oil's reputation. Olive oil remains one of the world's most healthful foods. We look forward to sharing more olive oil information with you in 2017. If you haven't done so, please subscribe to our blog to receive our posts in your inbox.